Good Luck to Year 11 student Darcy Boyle who is going to Slovenia on Tuesday 9th April for 1 week with the Northern Ireland Under 16 team. 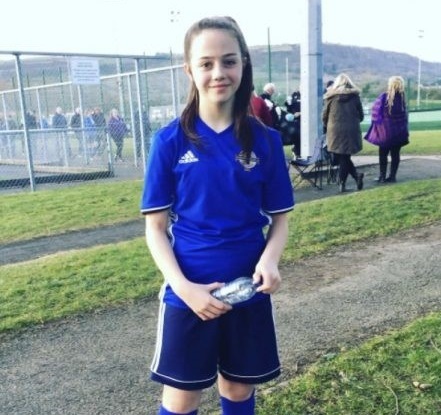 Darcy was selected to compete for the NI team who are going to Slovenia to participate in a tournament. The winners of the tournament will then be allowed to compete in the elite rounds. Darcy and the team will be playing 3 other countries: Slovenia, Sweden and Wales. Good luck Darcy from everyone at Belfast Model School for Girls!